The Governor of North Carolina has issued official statements. 4.2 million dollars has been set aside by the State to battle the assault. News outlets were aghast and social media was all “a-buzz” about the invasion of these huge blood sucking monsters. I am; of course, talking about mosquitos. This species, called Psorophora ciliata by scientists, but commonly known as “gallinippers,” are “not likely to make anyone sick,” Reiskind said. “In general, they don’t actually carry human diseases.” The species breeds more when there is an abundance of standing water, having adapted to these periods of time when massive flooding on the landscape occurs. 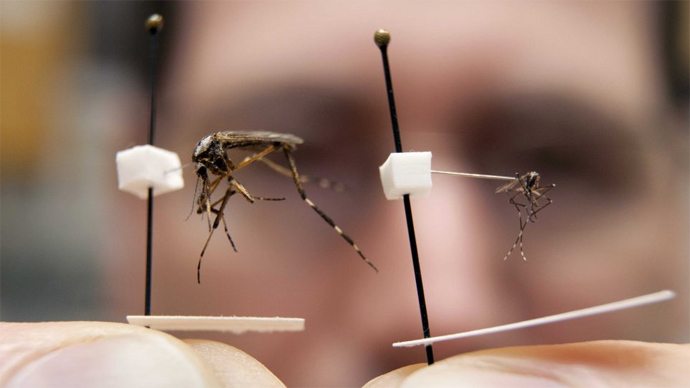 Gallinippers belong to a genus of mosquitoes that specialize in responding to floods. Females produce lots of eggs, which they spread out around areas that might flood, such as wet meadows, floodplain forests or even agricultural land. These eggs are resistant to desiccation — that is, they aren’t damaged by dry conditions — so they can wait around for a flood the following year, forming an “egg bank.” In order to get the blood meals necessary to make many eggs, these mosquitoes are aggressive feeders on mammals, other species of mosquitos and occasionally other vertebrates. Winter weather will end the most immediate threat, however all those eggs will still be out there, awaiting next year’s floodwaters. Being bitten by one giant mosquito or hundreds of times by a regular mosquito can be, in and of itself, a public health issue. Some people are more susceptible and have more severe reactions to bites. With the recent addition of rains from Hurricane Michael it is very likely that North Carolina will continue to feel the “sting” from these invaders. Should you have any questions regarding this issue, please contact me directly at (919) 459-5240 or rcampbell@ei1.com.